What happens when an entertainer runs for public office as a publicity stunt, and accidentally wins the election? 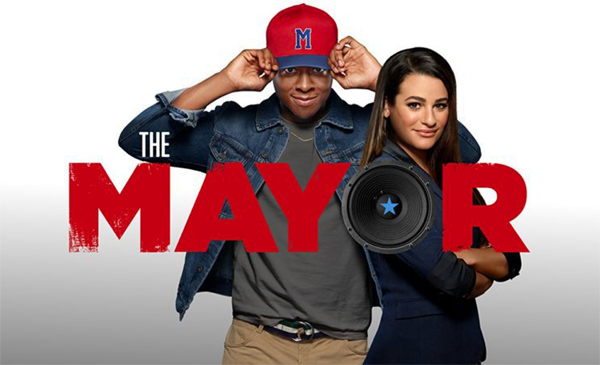 You'll find out in... real life, actually, but you'll also find out in "The Mayor," a sitcom starring Brandon Micheal Hall as a hip hop artist who gets a crash course in civics when he unintentionally embarks on a career in politics. "The Mayor" is an optimistic show about the practicalities of local politics, a quality that may be encouraging but hardly salacious enough to build a big audience. But with a great cast including Yvette Nicole Brown ("Community"), Lea Michele ("Glee") and David Spade (who is David Spade), is it possible that this one-season wonder was... Canceled Too Soon? Listen to the episode to find out, in the last episode of our "Suddenly, Last Season" theme month. Sick around, because SCARYTOBER is about to begin! Getting is a Record Deal can be a real challenge but it's not impossible. If you really want a Record Deal you must be choose entertainment deals. These deals very useful and you'll need to have proven results.